Phyllis was born at her Gramma Long's home in Molalla, OR on May 30, 1935. She was the first born child of Theophil Leonard Otto Kraxberger and Hilda Pearl Long Johnson Kraxberger. Phyllis passed on Sunday, February 3, 2019, at 8:30 am, at Emanuel Legacy Hospital in Portland, OR, surrounded by those she loved. 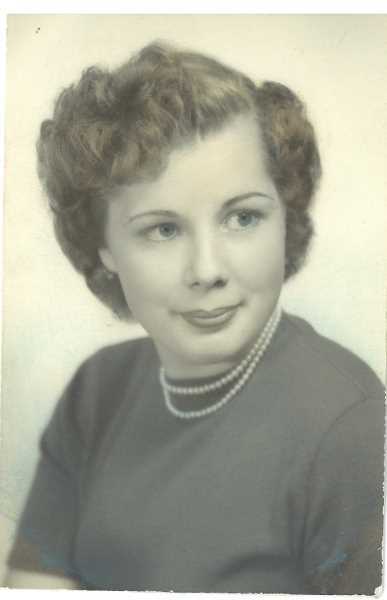 She met her future husband, Orville Hiett Adams at PSU, and they both agreed that he was a very persistent suitor, which resulted in their marriage in January of 1955. After 60 years, 11 and a half months of marriage, Orville passed away in December 2015. Phyllis is survived by her brother, Gerald Kraxberger; sister, Janet Newton; daughters, Christina Keady and Carol Grauer; son, Orville Steven Adams, and grandkids Patrick, Robert, Phillip and Kendra. She is mourned and missed by everyone that had the pleasure of knowing her. Her "legacy by example" of loving, caring, forgiveness, tolerance, kindness, generosity and faith, will remain forever in our hearts. Candle lit by Mary and David You will be missed so much. RIP dear cousin. Love you.